I'm really happy,to see,and hear someone not being afraid of improvisation. More - he is a real musician,playing real music! Bluesette, Jazz Piano Duet. Bösendorfer vs Bechstein Full Concert Gland Piano. What is "YouTuber" Youtube creator is a name that refers to people and groups who continuously publish videos that were produced independently on YouTube. In a narrow sense, it refers to a person who "lives on advertising revenue obtained by YouTube video playback as a main source of income". In addition to "YouTuber in English-speaking countries", notations such as "YouTube Personality", "YouTube Star", "YouTube Celebrity" are used. In April 2011 Partner Program was opened to general users, and advertisement revenue became available. I continuously post videos, but because it excludes advertisements, it is not YouTuber in a narrow sense. I would like more people to see the music I'm playing. Registered on YouTube in June 2007, it is nearly ten years to completely post a video post. "The fact that we can only do this with a limited reach as a result with a limited budget compared to television," and "I must recognize that factor firmly." "Consumer conspicuous attention "Is the incentive design good?" "" Another reason? "" Let 's think properly anyway "
Music is a verbal language. I want to express it with a good sound and a moving picture. I want to express and I want to tell it. I want to fix what I pass by moment of music. I think whether there is something I want to express even if technically childish. Of course, I am posting a video with expectation of comment, but the difference between subjectivity and objective is big. As I mentioned earlier, I was touched on YouTube because I was deeply impressed by the comments of a certain posted video. Piano Solo Improvisation / Hong Solo I got a comment on the more than 8 minutes of improvisation performed in Honjo 's quest blues. I'm really happy, to see, and hear someone not being afraid of improvisation. More - he is a real musician, playing real music! Really hard to find such a great musician, and really sad to see, how much views he's got, while stupid rockers ruling with their four easyest guitar chords! Hideaki Kohga, A Weekend Keyboard Player. 【Introduction】Activities on weekends are impossible on weekdays, so the number of performances is almost saturated now. Under such circumstances, analyze the performance activities of 2016, think about measures in 2017. To be a reference in 5 years. 【Target and method】Based on the performance database, describe the figures as much as possible to be helpful when browsing at a later date including live performances from January to December 2016, performances, and others. Think about trends, reflections and countermeasures. → It continues well. It is doubtful whether "continuation is power" or not. Consideration is necessary so that Mr. Yamanaka will not get tired. Voca 6The name is surprising. Request of drummer monthly change is a little hard, but when the drummer changes, music It is interesting to change. 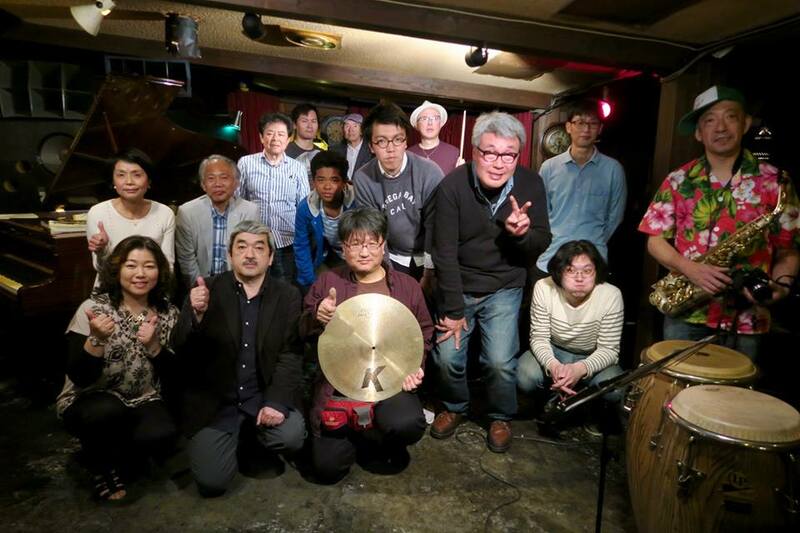 Gunma has many excellent drummers. → 1000 yen It arrived at the plate month, but the funds are bottomed and planned to be with 1500 yen plate from next year The burden of Mr. Yamazaki is. The burden of the facilities is large, but this place is being made easy. → There is little activity of music exploration Company. I can not deny the influence that Mr. Aiba passed. 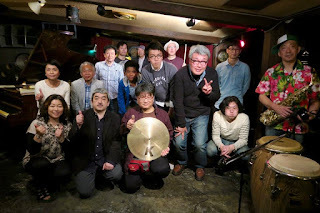 □ Jazz listening party (3/13) Maebashi Central Public Hall 300 audiences I am also asked next year. □ Takanashi Mizuguchi Katayama Trio + 1 (5/21) Co-star with three professionals, I realize that I am missing it. Piano · solo improvisation is few as 2 times. Duo with Mr. Kubo is an epoch - making project. The Takanashi Katayama Mizuguchi session revealed bad rhythm. In the regular session, Keynote ends up to 141 times. It is doubtful whether continuation is power. Consideration and planning for the base. It is necessary to think about. There are variations and price changes for crocodiles, cheap irregularities and changes. Impression that co-star with vocal has increased 16 times in recent years. Studying is necessary with the drummer . The group large medical school session started from April, but I have not been able to participate since June. I also made efforts to make a business trip session. And it was only my effort goal. I missed Sekiguchi Nash en Jazz Festival.